Former Free State MEC for economic development Mxolisi Dukwana on Friday alleged that he was fired by former Free State premier and current ANC secretary general Ace Magashule for not approving a multimillion-rand Gupta-linked contract in 2012. Dukwana took to the stand at the Zondo commission of inquiry into state capture on Friday, delivering damning testimony over how he was roped into a meeting with Rajesh "Tony" Gupta by Magashule at the Gupta compound in late 2011. Gupta allegedly offered him R2m in cash if he signed a letter appointing Gupta-linked businessman Iqbal Sharma’s company to undertake the development of a master plan for a new "City for Tomorrow" – a project that planned to establish a high-tech urban development somewhere near Welkom. Magashule was allegedly present when the bribe was offered, along with former president Jacob Zuma’s son, Duduzane Zuma. But Dukwana claims he refused. Dukwana told the commission that, two weeks after the protracted meeting, he received an email from Sharma, who owns Nulane Investments, one of two companies Gupta wanted Dukwana to appoint to oversee the City for Tomorrow project. The other company, P3 International, was owned by California-based John Thomas, Sharma’s business partner. News24 reported on Friday that an unsigned subcontracting agreement between Sharma’s Nulane and a Gupta-owned shelf company in Dubai, Global Corporation LLC, revealed the Gupta’s intention to scoop R80m from the envisaged R140m contract. Nulane and P3 were banking on Dukwana rubber-stamping an agreement that would have seen the two companies being paid R140m for the development of a master plan for the future city by the Free State Department of Economic Development. Dukwana claims he "did not play their game" and that the companies were not paid any funds. Within weeks of meeting Gupta with Magashule at the family’s infamous Saxonwold compound, Dukwana received an email from Tsephiso Magashule – Ace Magashule’s son – containing a letter written as though Dukwana himself had written it. The letter gave the impression that Dukwana had approved Nulane and P3’s involvement in the project. Dukwana denied this. The letter, which News24 has seen, read: "I am pleased to give Nulane Management Services and P3 the Notice to Proceed with the development of the Master Plan for the City of Tomorrow Project, a new city to be designed in the Province of Free State, as well as prepare a Schematic Design for the new Government Centre to be located in the Project." While Dukwana’s signature is on the copy of the letter that News24 has seen, Dukwana claims he never signed it, as he did not have the authority as the MEC to approve expenditure. He claims he told Gupta that only the head of department could approve the project. Dukwana told the commission that, although Sharma, Thomas and Gupta had wanted to develop the city through this deal, their interest "was actually to milk the province dry". Once Sharma realised that Dukwana wasn’t playing ball, Dukwana says, Sharma threatened legal action over unpaid labour. Two weeks later, however, Dukwana was fired as MEC during a provincial cabinet reshuffle by Magashule. 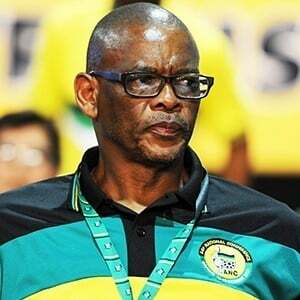 He said his relationship with Magashule soured following the episode. Magashule has previously denied Dukwana’s allegations. Earlier on Friday, Dukwana alleged that Gupta had told him he personally delivered R1m a month to Magashule’s home. Sharma is the only witness who has applied to cross-examine Dukwana and has submitted an affidavit to the commission. News24 understands Sharma will allege that Dukwana did sign documents allowing the project to move ahead with Nulane and P3.